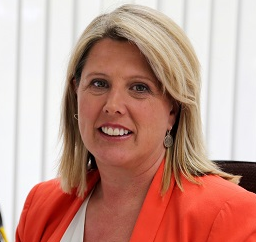 The opposition to the Paid Parental Leave scheme has been unhelpfully vitriolic at times but the Government’s decision to redirect funds from Paid Parental Leave (PPL) into early childhood education and care is the right one. As an advocate for children, I support full wage replacement Paid Parental Leave –it would make it much easier for new parents to spend time with their infants, establishing that bond between parent and child that lasts a life time. The Government’s proposed full wage replacement scheme would give families genuine opportunities that the current minimum wage model simply doesn’t afford. But if we are going to raise money to invest substantially in new support to families I am not convinced that full age replacement Paid Parental Leave is the top priority. In an era of fiscal restraint, where the Government has to make difficult choices, the priority should be on affordable, high-quality early childhood education and care, rather than a more generous Paid Parental Leave scheme. Early Childhood Australia commissioned a Galaxy Poll of voter in August last year. At the time support for affordable early education over PPL was 70 per cent. After a one year in Government the Galaxy Poll reported yesterday shows that support for child care is relatively unchanged at 64 per cent. The reality is that when parental leave is over, parents need access to affordable, quality early childhood education and care for many years after the PPL runs out. The question is how will the funding be invested in early childhood education and care? The Prime Minister is right to say that investment in early childhood education and care is an ‘economic issue’. The economic modelling on the former Government’s Productivity Agenda shows that the existing paid parental leave scheme was much less effective in the long term than measures aimed at improving access to early childhood education. KPMG Econtech forecast that the existing paid parental leave scheme would contribute 0.7% to labour productivity growth compared with 2.9% for access to quality early childhood education. Both of these early childhood measures were aimed at quality early learning experiences for children, not workforce participation. That is not to say there aren’t benefits from increasing parents’ workforce participation. Price Waterhouse Coopers modelling shows that that the benefit to GDP of increased female workforce participation is $6 billion to 2050. 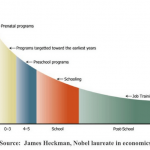 However, the Benefits to GDP for children receiving a quality education and care program is 10.3 billion to 2050. 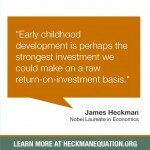 The benefits to GDP of increased participation of vulnerable children in early learning is $13.3 billion to 2050. These numbers cogently demonstrate that Australia needs to invest in children’s development for our future – but the focus must be on early learning, not just parents’ workforce participation. High-quality early education and care programs amplify children’s development at a time of rapid brain development. That means looking a streamlined subsidy system which improves access to early learning for vulnerable children, not just subisdies for nannies. If the Government gets the policy settings right, the investment will benefit children, families and the economy.